What will you do with your green tomatoes? Come September and October, Here in my neck of the woods the garden is still going. There are tons of tomatoes evolving in various stages. Soon enough the frost will hit. There will be no opportunity for them to ripen on the vine. Personally, I harvest the end of August or beginning of September. By that time I’m pretty sick of garden care and am ready to be done with it. That’s when I pluck all the remaining green tomatoes. Now the question remains, Trish, what will you do with your green tomatoes? There is the option of Fried Green Tomatoes, but I’m still waiting for a good southern cook to give me advice on that. I could make relish, but I’m not so fond of that, so Pickled is the way for me to go. 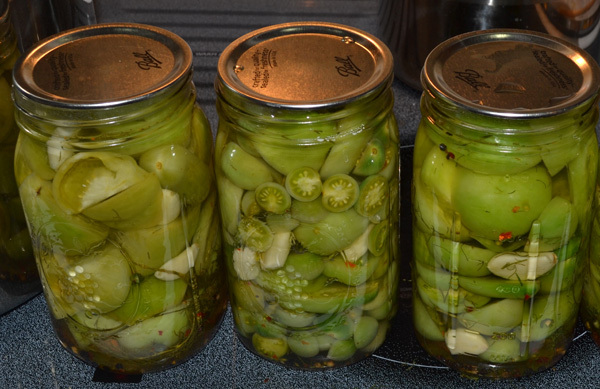 Now that the pickling is about 4 weeks behind me, it seems right that tasting time is approaching. That’s for later today, I’ll keep you posted. (no pun intended, LOL) For now, let’s get into the nitty gritty on how to do this. 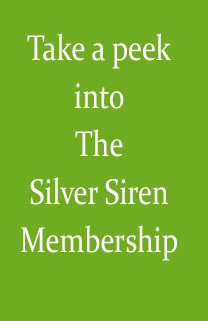 Free access to recipe in member’s area. Take a test ride on us.